Wow - I keep forgetting to update this! 1964 New York: Updated Travel & Transportation entry on Changes During the Fair page. 1964 New York: Added Protestant and Orthodox Center to Changes During the Fair page. 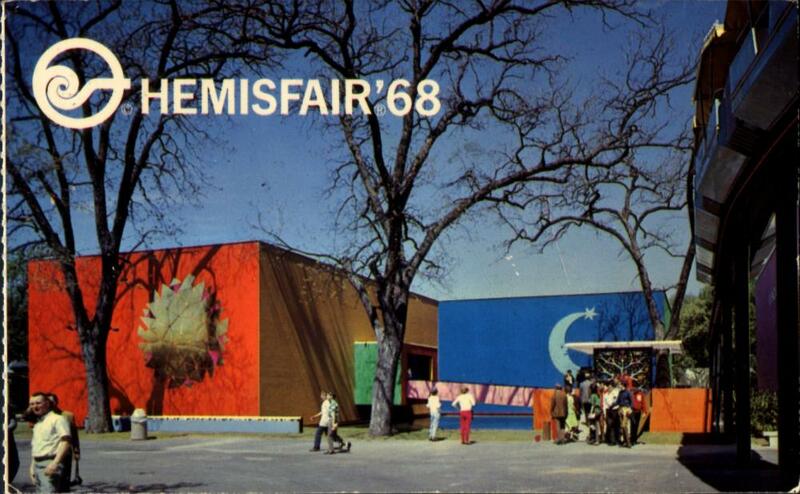 1964 New York: Updated Lowenbrau entry on Changes During the Fair page. 1933 Chicago: Added ordering information for my new book on the Fair. 1933 Chicago: Added map, pre-opening brochure and Santa Fe booklet to the main page. 1964 New York: Added CD #61-65 to the Photos on CD page. 1964 New York: Updated song titles on the Audio & Video page. 1964 New York: Updated picture on the Missouri page. 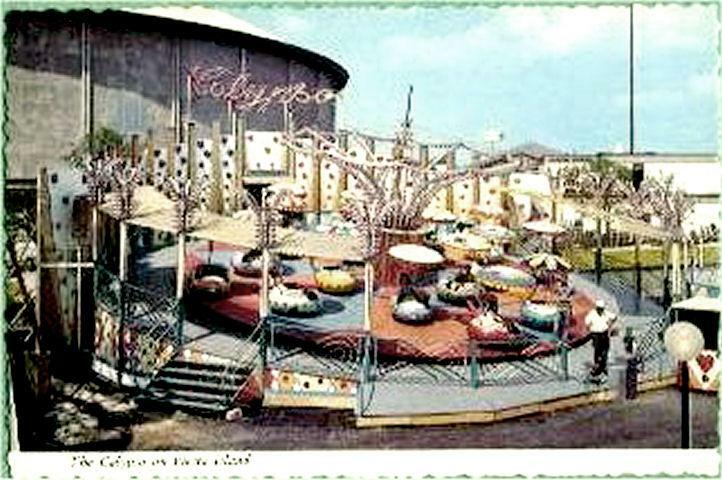 1964 New York: Updated picture on the Paris Pavilion page. 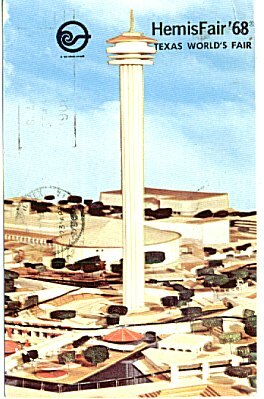 1964 New York: Added World's Fair News #1 newsletter to the Fair Corporation Documents page. Expo 67: Added 1969 map and information to the Man and His World page. 1933 Chicago: Added information on my new book on the Fair. 1964 New York: Updated Walter's International Wax Museum page. 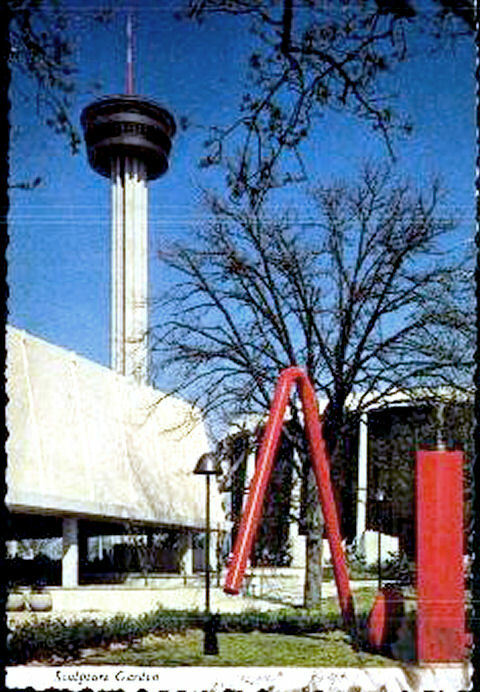 1964 New York: Added United States Pavilion at the New York World's Fair: Important Events to the United States Pavilion page. Expo 75: Added Site Layout map to the main page. 1984 New Orleans: Added Official Map to the Tour page. 1986 Vancouver: Added "Time is Running Out", Canada, Saskatchewan, and Thailand Pavilion brochures to the More Information page. 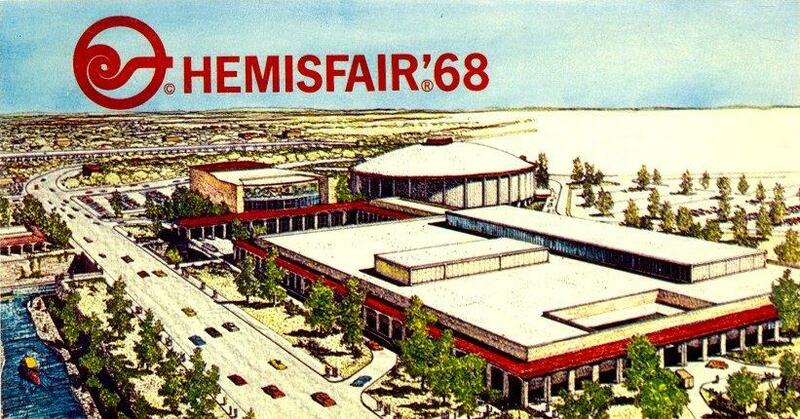 Expo 67: Added Victoria Autopark and Expo Facts No. 4 brochures to the main page. 1964 New York: Added 1965 brochure to the Greyhound page. Expo 67: Added Australia at Expo 67 and Britain brochures to the main page. Expo 67: Added additional annual brochures and 1990 fireworks brochure to the Man and His World page. 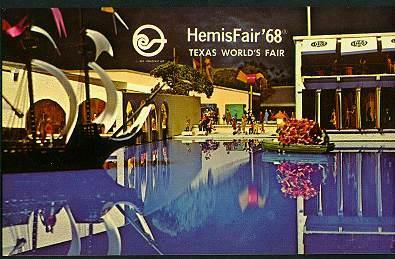 HemisFair '68: Updated the Post Cards page. 1964 New York: Added Souvenir Booklet and VIP Lounge Brochure to the General Foods page. 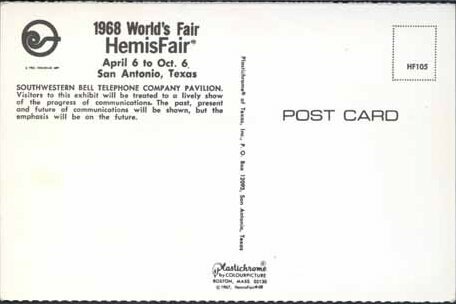 1964 New York: Added additional "World's Fair News" issue to the Fair Corp Documents page. 1967 Montreal: Added 1968 and 1972 Official Souvenir Maps to the Man and His World page. 1933 Chicago: Added Travel by Train brochure to the main page. 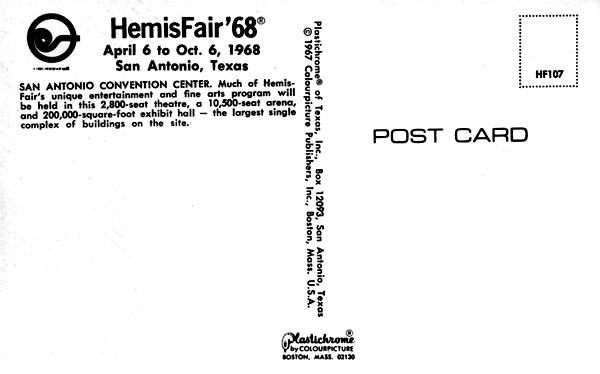 1964 New York: Added additional material for Re-Opening Day to the Fair Corp Documents page. 1964 New York: Added General Motors Futurama set to the Photo Lab Slides page. Expo 67: Added information for 1980 season of Man and His World. 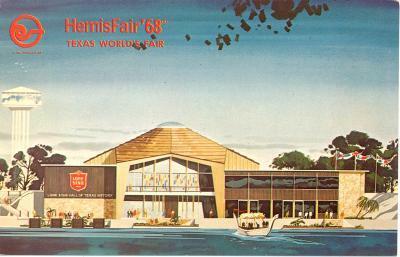 1964 New York: Added entry for the AMF Monorail to the Changes During the Fair page. Thanks, Randy. Do you have these full sized? I'll have to check and see. 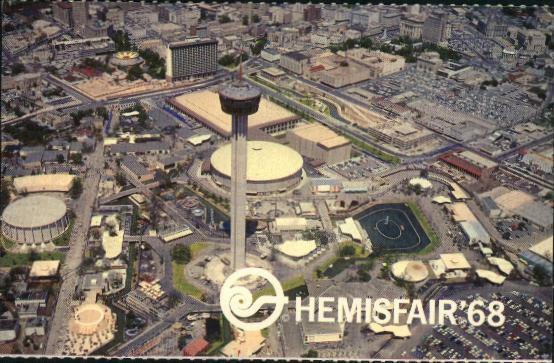 I'll start a new thread on Hemisfair postcards so as not to further hijack this one. 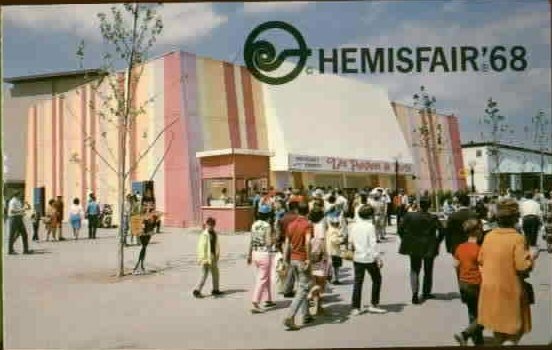 I've added quite a bit to the site, including a large number of Fair Corp. memos that have details on unbuilt pavilions, planning for the operation of the Fair, etc. Be prepared to spend some time reading them all! 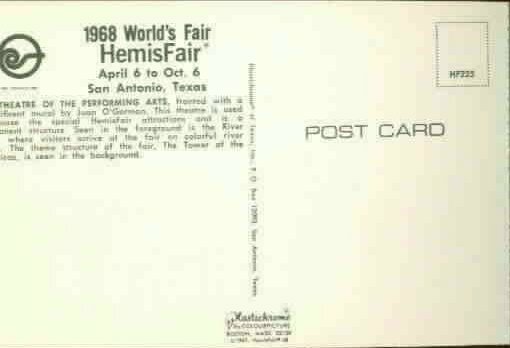 1964 New York: Updated the Fair Corporation Documents and Carnival pages. 1964 New York: Added additional Small World newsletter to the Pepsi page. 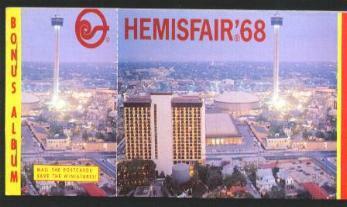 1964 New York: Updated the Fair Corporation Documents, General Cigar, Tiparillo Band Pavilion and U.S. Rubber pages. 1964 New York: Added page for the Quaker Puffed Cereals House. 1964 New York: Added press releases to the China, Santa Maria and Venezuela pages. 1964 New York: Updated the Christian Science page. 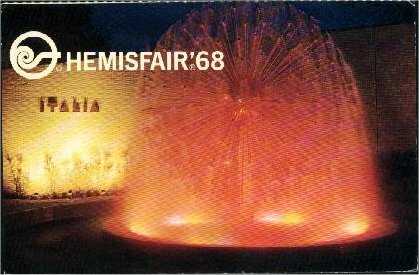 1964 New York: Updated the Coca-Cola entry on the Changes During the Fair page. 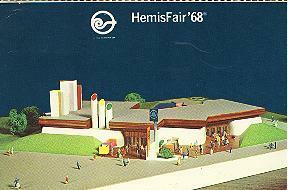 1964 New York: Updated the Fair Corporation Documents and Oregon pages. << THESE SHOULD KEEP YOU BUSY! 1964 New York: Added map to the More Information page. 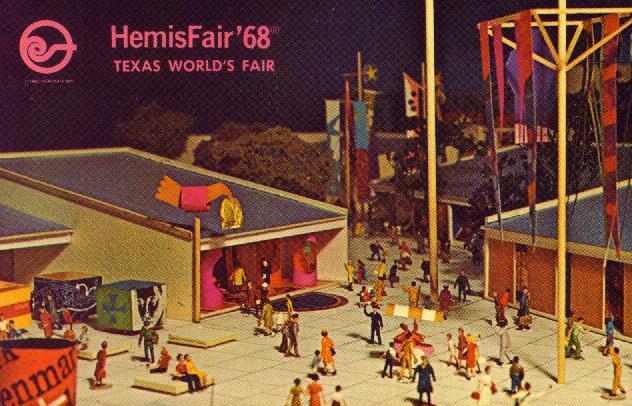 HemisFair 68: Updated the Postcards page. 1964 New York: Updated the Churchill Center, Port Authority, and Greyhound pages. 1964 New York: Updated the Magazines and Newspapers page. 1964 New York: Updated the Tower of Light entry on the Changes During the Fair page. Expo 67: Added Australia Pavilion & Kodak press releases to the Documents page. Expo 67: Added additional souvenir booklets to the main page. Site wide sale - 10% of all books through December 31, 2015. 1962 Seattle: my new color book is now available. Launched 2015 Find a Bug challenge. Expo 67: Added additional details to the Man and His World page. 1964 New York: Updated the Pepsi Cola page. 1964 New York: Updated the Underground World Home page. 1964 New York: Updated the Florida, General Motors, Tower of Light, and Magazines and Newspapers pages with articles from Business Screen magazine. 1964 New York: Updated the Mobil, Transportation & Travel, and Magazines and Newspapers pages with articles from Business Screen magazine. Expo 67: Added Press kits for 1974, 1975, & 1976 plus additional details to the Man and His World page. Expo 67: Added Fifth Annual Report to the News & Publications page. 1964 New York: Updated the American Express, Bell System, Berlin, Billy Graham, Chrysler, Continental Insurance, DuPont, Dynamic Maturity, Festival of Gas, Ford, General Cigar, General Electric, General Motors, Greyhound, Hall of Free Enterprise, IBM, Ireland, Johnson's Wax, Kodak, New York State, Pepsi, Port Authority, RCA, Sermons From Science, Tower of Light, Transportation & Travel, Travelers Insurance, United States, Vatican, and Magazines and Newspapers pages with articles from Business Screen magazine. 1964 New York: Added articles to the Magazines and Newspapers page. Expo 67: Added 1971 Souvenir Map and details to the Man and His World page. 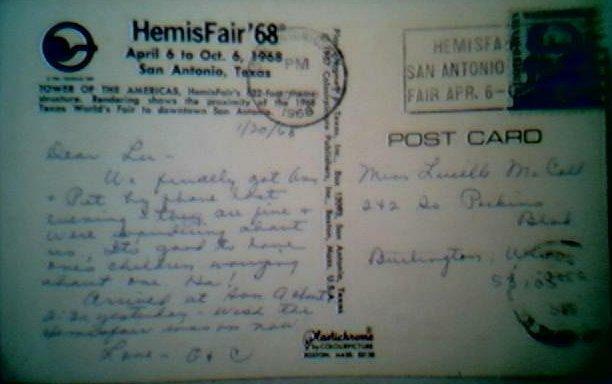 1964-65 New York: Updated the United States entry on the Changes During the Fair page. 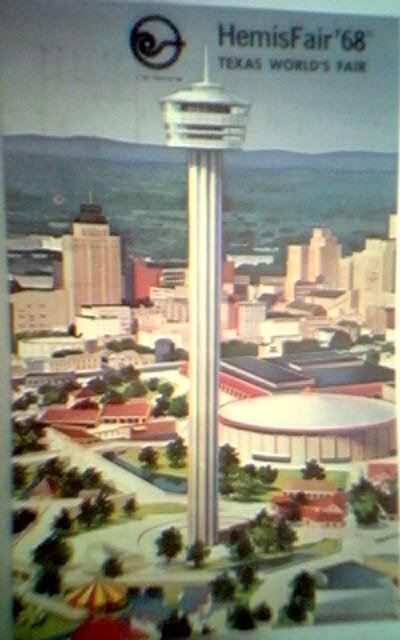 1964-65 New York: Added "This Week's Continuing Events" to the World's Fair Corporation Documents page. 1964-65 New York: Added newsletter to the Pepsi page. 1964-65 New York: Updated the Photo Lab Slides page. Rebuilt the site's Main Page. Rebuilt the 1939-40 New York World's Fair pages. 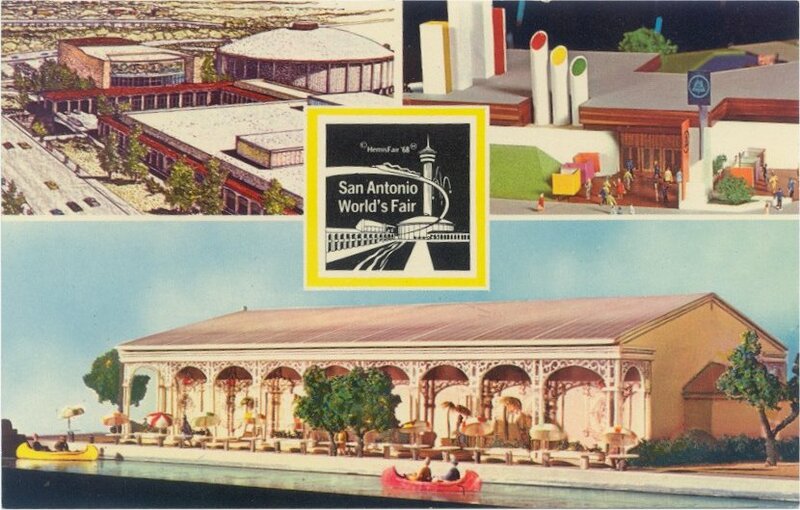 Rebuilt the Golden Gate International Exposition pages. Rebuilt the Century of Progress pages in the new site format. I have started to rebuild the site to accommodate smaller devices such as smart phones and tablets. It's going to take a while as each page has to be redone manually. I've started with my Past Projects page. Please let me know if you spot any mistakes, broken links, etc. Rebuilt the 1962 Seattle World's Fair pages. Added larger size contact sheets for the 1933-34 Chicago, 1939-40 San Francisco, and 1939-40 New York World's Fairs. 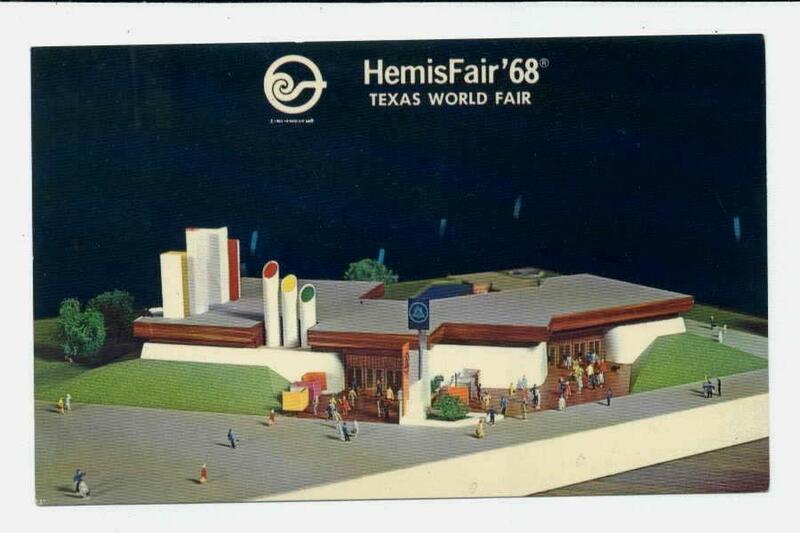 Rebuilt the Expo '58 pages.